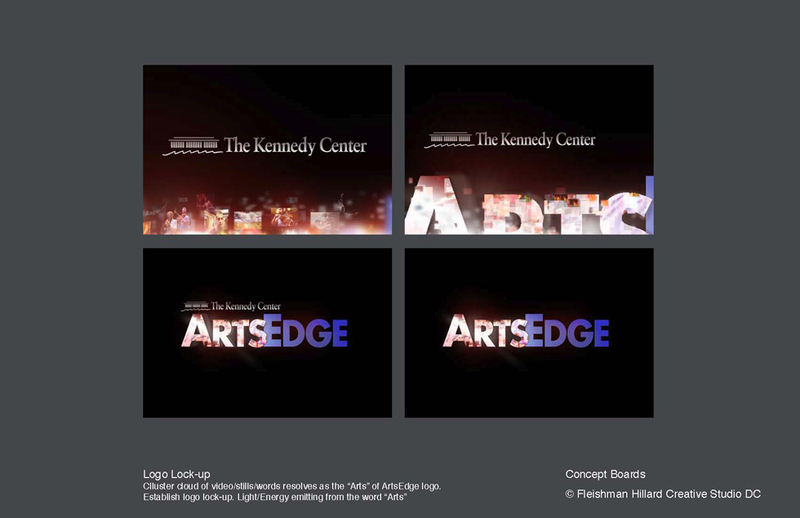 Kennedy Center ArtsEdge Celebratione Reel from Peter Quinn on Vimeo. 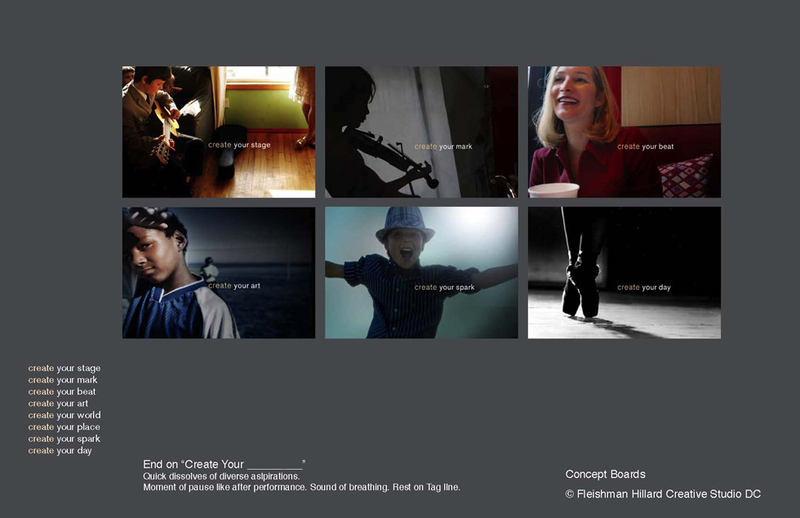 We created video and other materials to brand and relaunch Artsedge, the education outreach division of the Kennedy Center. 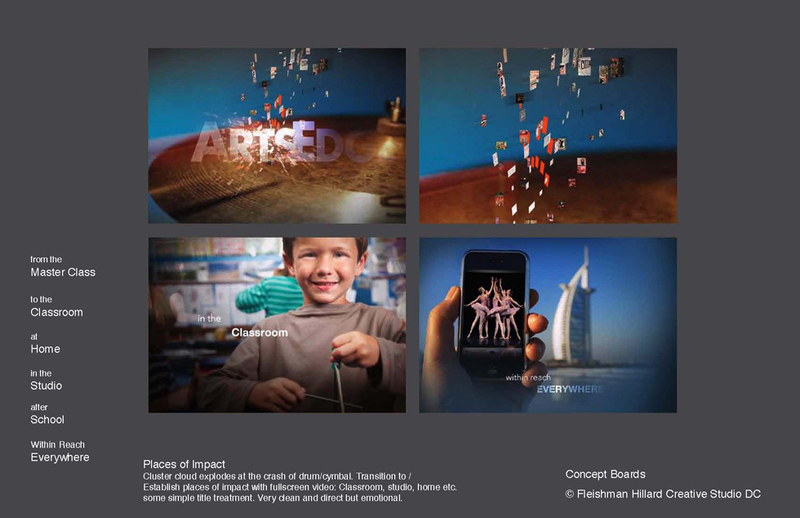 Over the course of the project, the concept and the reasons for the piece shifted dramatically, and we shifted with it. 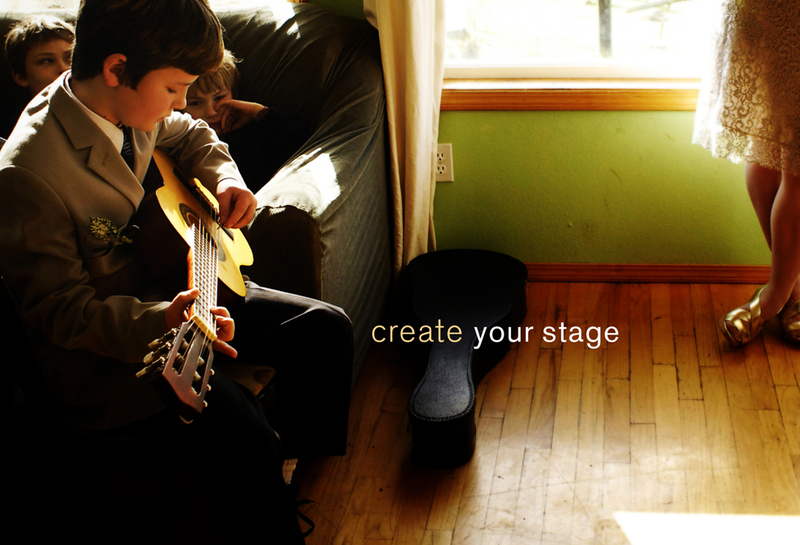 Below are some initial drafts and concepts that lead to the production you see here. The Kennedy Center was celebrating the anniversary of establishing their educational outreach called ArtsEdge, and they needed to encapsulate the mission and impact they’ve brought to the frontier of arts eduction across the country. 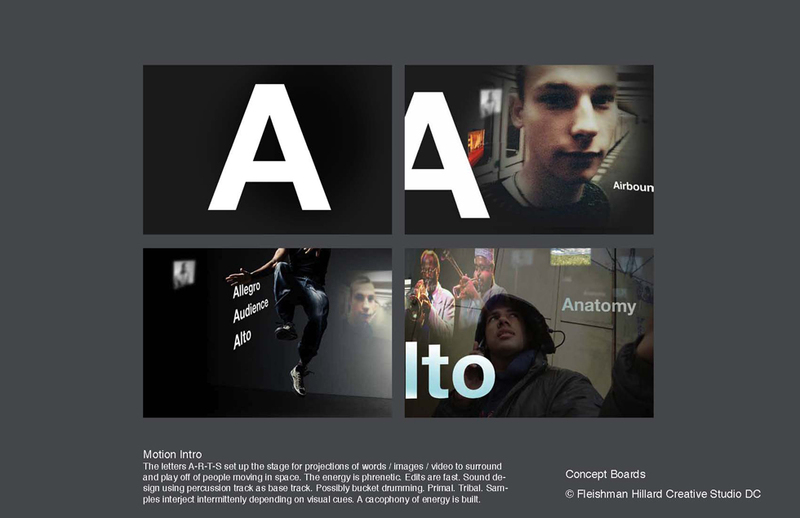 We developed messaging, a look and feel, and a brand mission stinger.